The 'M' Word - Marketing Libraries: Send Your Materials to Swap & Shop Now! Send Your Materials to Swap & Shop Now! I'm posting this Call for Materials on behalf of the good folks who run the Swap & Shop at ALA's Annual Conference. The Swap is always a great event that's well worth your time if you have anything to do with marketing and promotion. Swap & Shop is where PEOPLE LIKE YOU send in all sorts of promo materials so that others can see and learn from them. (Details below) So you can participate even if you're not going to ALA. If you will be in DC later this month, then come to the Swap (on the Exhibit Hall floor) to pick up as many samples materials as you like, and take them home to use as inspiration for your own PR goodies. Also at Swap, there are award presenations for the event's Best of Show Awards, as well as recognition of other winners. John Cotton Dana-winning campaign materials are also on display for you to study and learn from. Cool people have "vendor" tables there too--cool people like PR Docs Linda Wallace and Peggy Barber, the good folks from JanWay (promo-product printers), oh, and, um, Me. I'll have a table where I'll give away sample issues of the Marketing Library Services newsletter, sell my book The Accidental Library Marketer, and answer questions. What's even more exciting is that my M Word partner Nancy Dowd will be there (with both co-authors) signing copies of her book, Bite-Sized Marketing. Please stop by! Swap and Shop Materials Needed! Does your library produce interesting, eye-catching, beautiful bookmarks, brochures, fliers, posters, magnets, and other materials to promote your library’s wonderful services and resources? Do you have extra inventory you can spare? If so, please contribute them to the Swap and Shop: PR X-Change at this year’s American Library Association annual conference in Washington. This is your chance to inspire your colleagues, and show off your great work to the nearly 1,000 library professionals who attend the event each year to collect samples of promotional materials and to network with others. To contribute materials, please send boxes with a pre-made mailing label. To get a PDF of the necessary label, contact Renee Di Pilato, Committee Chair, at rdipilato@alexandria.lib.va.us. Materials need to be received by June 16, 2010. For those of you attending the conference, please join us at the Swap and Shop: PR X-Change event, located by the special events area in the Exhibit Hall between 11:00 and 1:30 on Sunday, June 27th, to pick up great promotional materials from North American libraries of all types. This year’s Swap and Shop will also feature book signings by Peggy Barber, author of Building a Buzz: Libraries & Word-of-Mouth Marketing and Nancy Dowd, author of Bite-Sized Marketing: Realistic Solutions for the Overworked Librarian (attendees receive a special discount), social networking talk tables, as well as the Best of Show awards ceremony at 12:30pm. 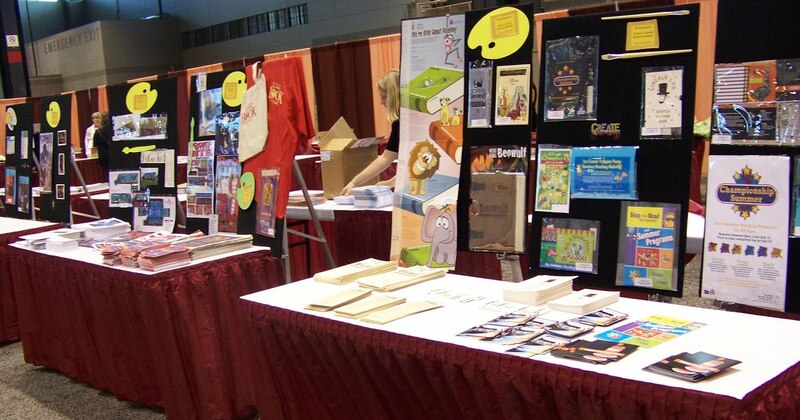 Swap and Shop: PR X-Change is an ongoing library marketing and public relations event held annually at ALA. It is sponsored by the Library Leadership Administration and Management Association.